NEW PRODUCT – Nunchucky (Wii Nunchuck breakout adapter) « Adafruit Industries – Makers, hackers, artists, designers and engineers! NEW PRODUCT – Nunchucky (Wii Nunchuck breakout adapter). The Wii Nunchuck has proven to be an excellent bargain – switches, joystick, and accelerometer in one handy package! 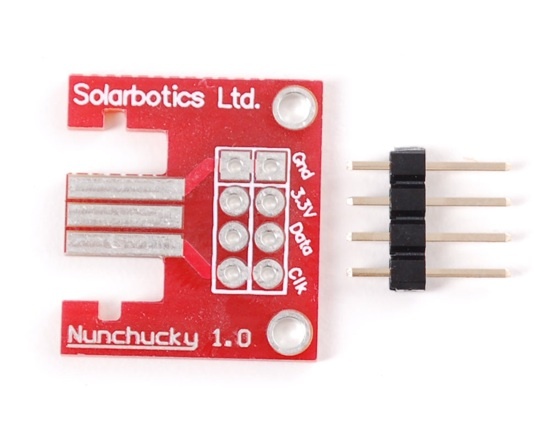 But it’s a shame to hack off the connector to make use of it, so use the Solarbotics Nunchucky breakout board adapter! Lock notches so your Nunchuck “clicks” in and won’t let loose! Pairs perfectly with our Wii Nunchuck controller You’ll need a microcontroller with i2c port, there is lots of example code online, we like this Arduino sketch. 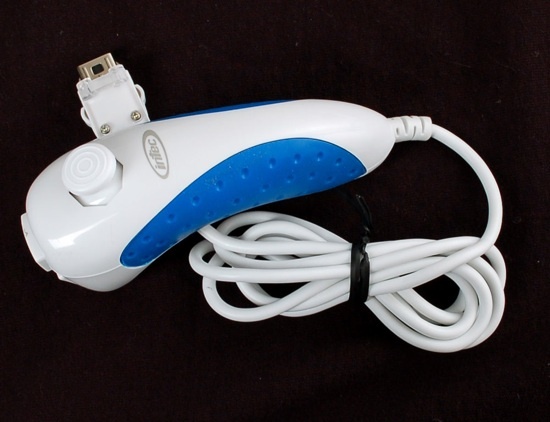 NEW PRODUCT – Wii controller (Nunchuck / Wiichuck). 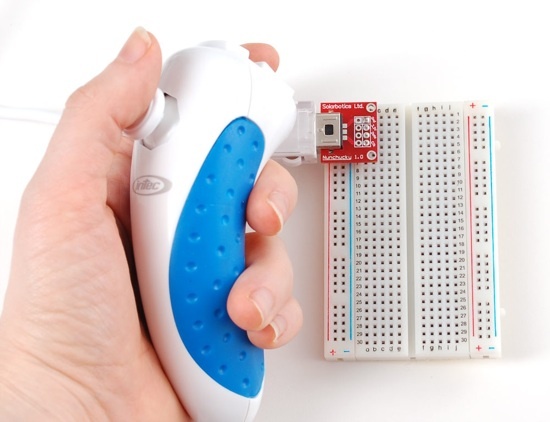 This is a generic Wii Nunchuck controller, we haven’t tried it with a Wii but it does work great with the Video Game shield, and all the microcontroller code we tried. There’s a 3-axis accelerometer inside as well as a resistive 2-axis joystick and two buttons. You can grab the data over two i2c data lines. There’s tons of example code for all sorts of microcontrollers for these guys!